Accidentally Cultured had an overdose of culture when we visited Denmark in autumn last year. He was dragged around five royal castles helping me search for Caroline Matilda and Leonora Christina. They are two royal women who suffered exile and imprisonment in 17th and 18th centuries. And, after a month of travel he was feeling pretty desperate. was all he had to say as we dashed off to yet another castle. So, on the last day of our visit I gave in and his wish was granted. Perhaps he fancies himself as the young, handsome prince the little mermaid fell in love with. 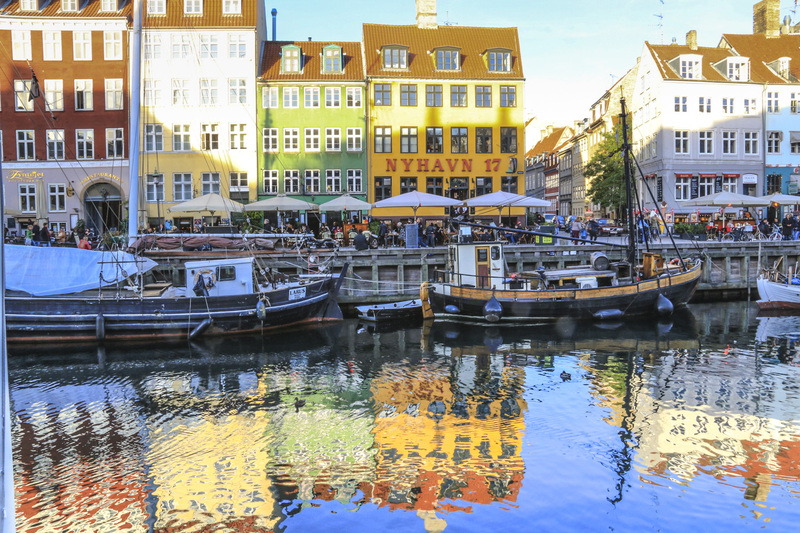 Most people go to Copenhagen to enjoy the restaurants. And, I did try to get a reservation at Noma. But it might have been wasted on AC who was desperate for a Weet-Bix. This meant he would be home eating heaps of Weet-Bix in six days time. Ignoring his plight, we set out for Christiansborg Castle. This Castle is steeped in history and amazingly beautiful. And, I did find Queen Caroline Matilda there in a family tree. The Castle is steeped in the opulence of its past glory and some of its shameful history! 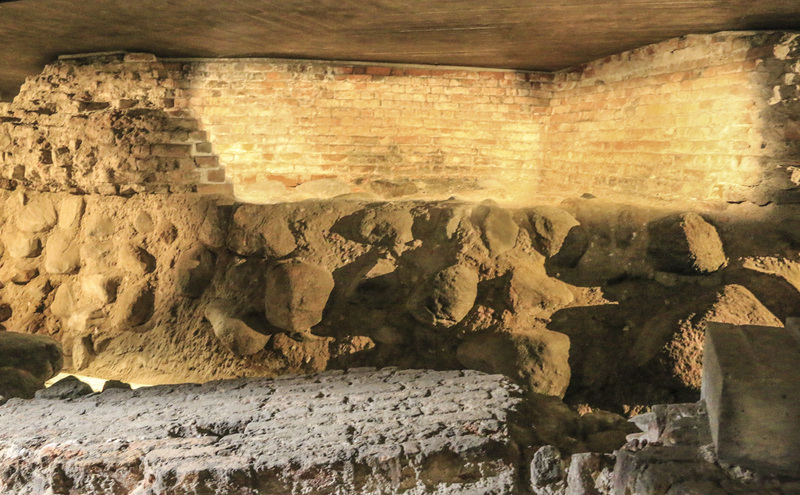 And, I did find the dungeon where Leonora Christina, daughter of King Christian IV, had been imprisoned for nearly 24 years. It is in the ruins of the Blue Tower! We were quite hungry after touring the ruins, but cafés were notably absent near this palace. Staff at the Castle suggested we eat at Illum Departmen Store. So, AC immediately cheered up and headed straight for coffee, fruit and vegetables. And I headed for the cosmetics and clothing! The modern life of a department store was a welcome break from the magnificent opulence of the castles. Leaving the department store we headed off in a different direction, and quite by accident found the Nyhavn. We noticed a stark contrast between the hustle and bustle of commuters going home from work and the vibrancy of this famous, historical centre with its wining and dining atmosphere. The colourful town houses glowed in the evening light casting playful reflections in the still waters of the canal beckoning us to stay and dine. And, the Nyhavn 17 was very tempting! But, AC was still clearly in love with the ‘Little Mermaid’. 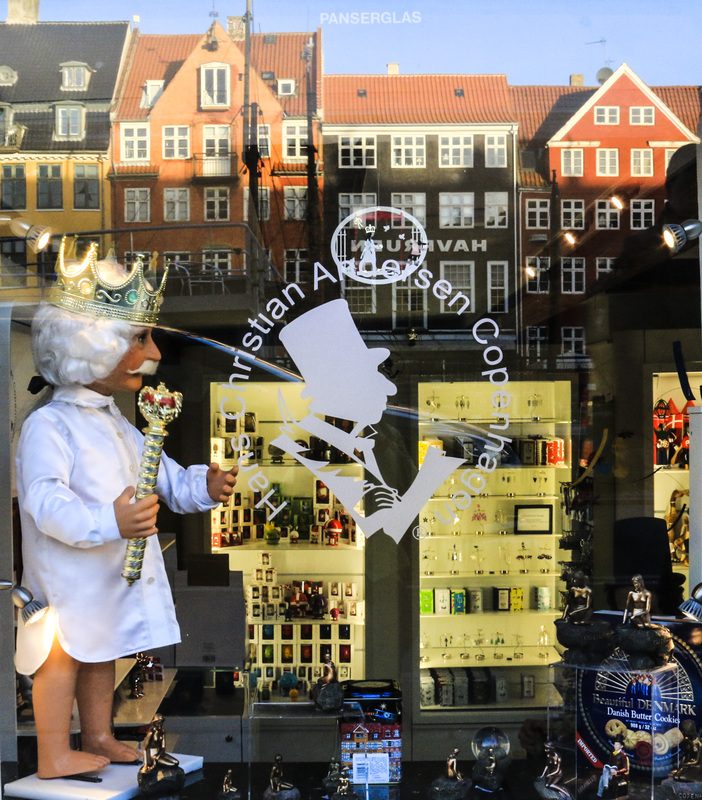 Also, he was more interested in the Hans Christian Andersen shop than in Nyhavn 17. The Nyhavn was created by King Christian V in the 17th century. It is an historic waterfront canal and entertainment district lined by colourful houses. In addition, Hans Christian Andersen lived here for 18 years. And, here is one of his delightful characters reflected in the shop window. 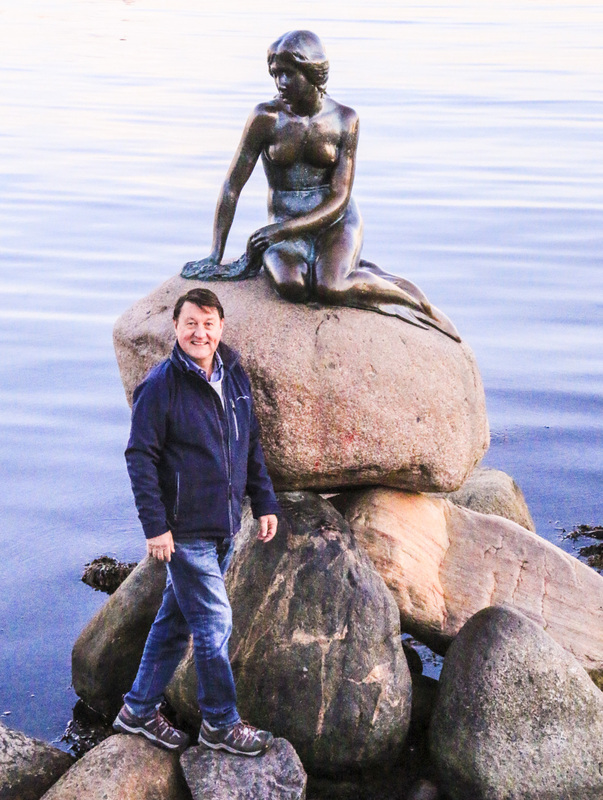 We visited the Christiansborg, Rosenborg, and Amalienborg Castles in Copenhagen. 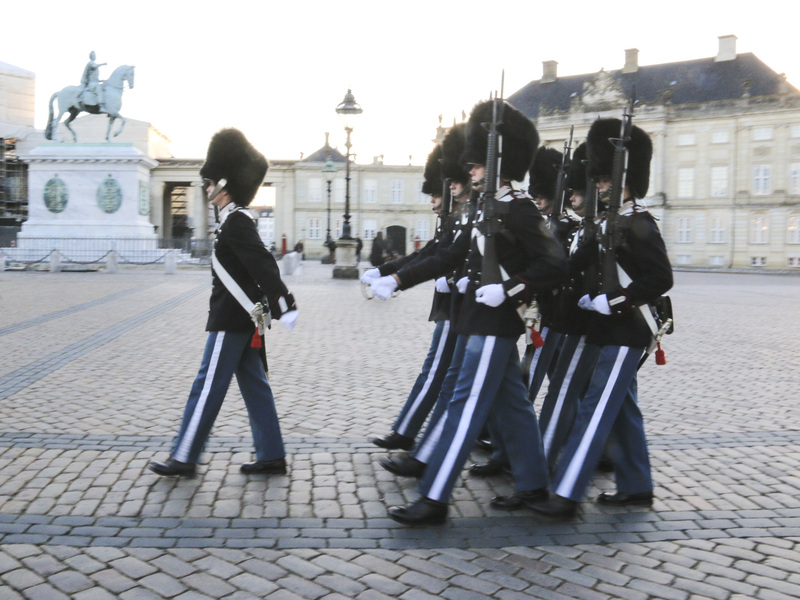 The Danish royal family live at Amalienborg Slot and people love to watch the changing of the guard. Here, my tranquility was disturbed by a voice roaring at me, followed by an almighty shove. I was about to be mowed down by marching guards. And, this was AC’s indecorous attempt to rescue me. Rosenborg Slot has the most amazing treasury filled with all the sparkle and glitter of the crown jewels. And the three silver lions guarding the throne are amazing. We also made a fast train trip north to see Frederiksborg and Kronborg Slots. And, we were able to see both Castles in one day because Denmark is quite small. Kronborg Castle interested me because it was the place where Queen Caroline Matilda had been imprisoned. And, Frederiksborg Castle was her favourite Castle where she enjoyed the company of her purported lover, Count Streunsee. He was the man who led to her downfall! Oh, how can a simple weet-bix bring so much relief for the weary traveller. Oh my charming father, you always know how to lower the tone!